As your optometrists in Hot Springs, AR it is our mission to provide you with comprehensive vision care. One of the services we offer at Holt Eye Clinic is prescription sunglasses with UV protection. If you have vision correction needs, learn more about how these sunglasses can benefit you. Prescription sunglasses feature lenses with your vision correction prescription. This way you are able to wear eyeglasses that double as sunglasses. You can avoid the hassle of wearing two pairs of glasses throughout the day. In addition, you will see more clearly while benefiting from UV protection. What are the Benefits of Wearing UV Sunglasses? Speaking of benefits, UV sunglasses block out the ultraviolet radiation that is emitted by the sun. UV rays are damaging to the cornea and pupil and can lead to further vision deterioration. You should wear UV sunglasses all year long because UV radiation occurs even in the winter season. Even if you do not have vision correction needs, you can greatly improve your vision health with UV protecting lenses. Here at Holt Eye Clinic, we offer 100 percent UV protection with sunglasses as part of our comprehensive optical health services. What Types of Lenses are Available With Prescription Sunglasses? Thanks to the latest technologies, prescription sunglasses are available in an array of lens options. You can get progressive, bifocal, and multifocal lenses. Polarized and transitioning lenses that change from light tint to dark tint are also available. By getting sunglasses with prescription lenses from our eye doctor you can rest assured that you will have the right type of lenses for your vision needs. 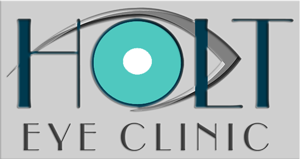 Here at Holt Eye Clinic in Hot Springs, our optometrist is ready to help you improve your vision and eye health. In addition to sunglasses with vision correction lenses, we also provide low vision therapy, cataract surgery, and YAG laser iridotomy. Contact our Hot Springs optometrist and ophthalmologists at 501-624-0609 to schedule your appointment for prescription sunglasses or for any other vision care needs.